Patrick ster (with hat). 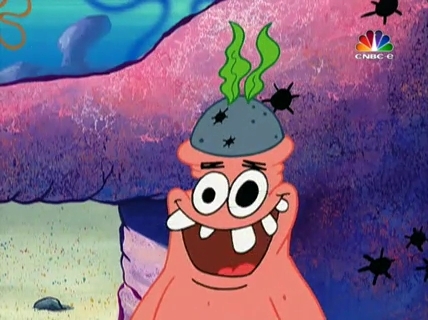 Another Patrick's hat.. Wallpaper and background images in the Spongebob Squarepants club tagged: patrick star episode frankendoodle season 2. This Spongebob Squarepants photo might contain anime, grappig boek, manga, cartoon, and stripboek. @candy246: Thanks for fan of it.